It was a tie between premium cable network HBO and streaming giant Netflix at the 70th Primetime Emmy Awards with both winning 23 awards each. The Emmy nomination this year were met with a surprise, when Netflix topped HBO in the total number of nominations. Netflix had 112 nominations compared to HBO's 108. HBO was leading the tally after the Creative Arts Emmys, with 17 wins to the streamer's 16. With two early awards for the comedy series "Barry", HBO took the lead during the ceremony. Netflix, however, put up a strong show in the limited series and movie categories. Among Netflix's wins, Claire Foy landed the award for lead actress in a drama series for "The Crown". Regina King won lead actress in a limited series for her role in "Seven Seconds," which was cancelled after its first season. The "USS Callister" episode of "Black Mirror" and "Godless" also took home multiple statuettes with four and three, respectively. The final award of the night, Outstanding Drama Series, which was won by "Game of Thrones", resulted in the 23-23 tie. Amazon, another streaming service, also won eight awards, all for Outstanding Comedy Series winner "The Marvelous Mrs Maisel". 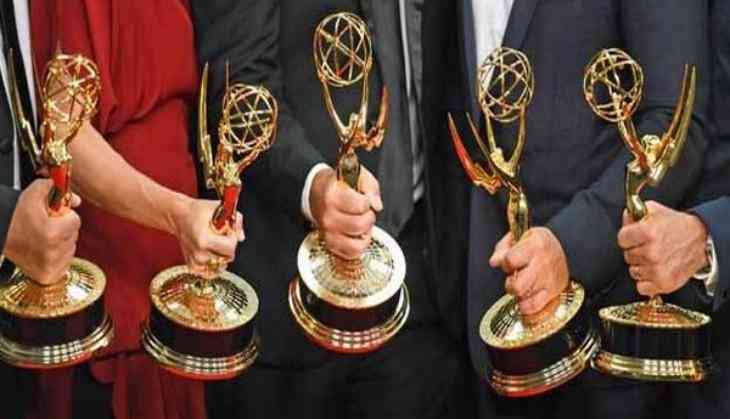 "GOT" took home nine Emmys including seven won at the Creative Arts ceremonies. "The Marvelous Mrs Maisel" was the biggest winner at the ceremony with five awards -- for Outstanding Comedy Series, lead (Rachel Brosnahan) and supporting actress (Alex Borstein) in a comedy and writing and directing honours for creator Amy Sherman-Palladino. It earned eight Emmys overall.